I’m thinking of writing a book called Blenders and Bananas. One whole chapter will be dedicated solely to banana bread, another to banana breakfasts and a third, to sweet and savoury combo’s like this Cape Malay curry with roasted bananas. The remaining chapters will be Fifty nifty ways on how to make sensational food ….in a blender. No fuss, skeletal dishes and more time for couch PJ’s and Netflix. 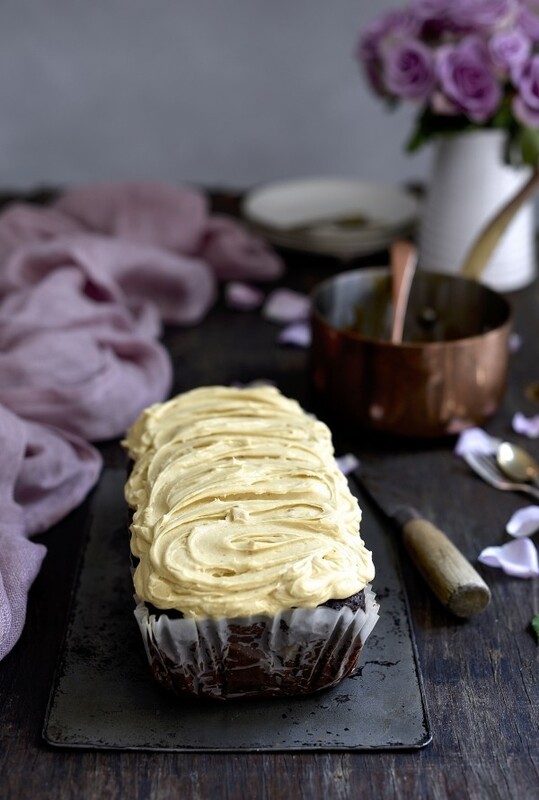 But for now, let’s pull up a chair and talk about Cake Friday’s swirly peanut butter frosted loaf. 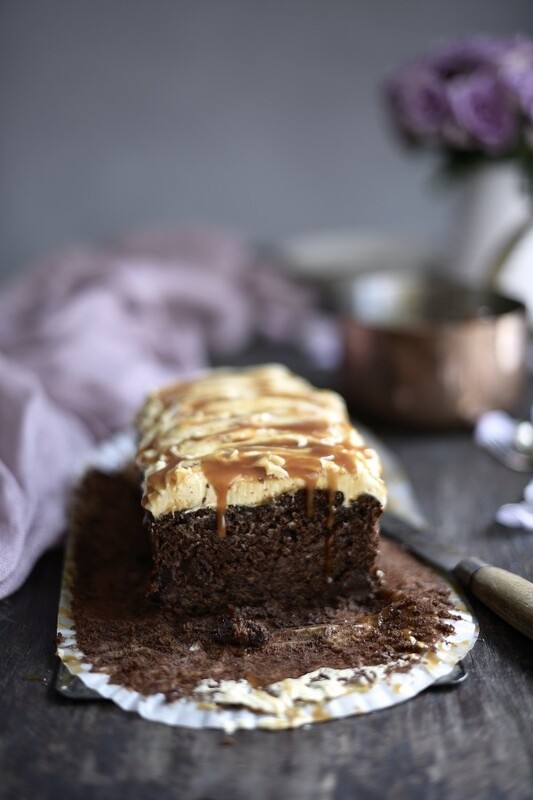 This chocolate fudge banana bread is the third banana bread recipe on the blog. If it were up to me, there’d be nothing but banana bread! I’m practising self restraint here in an attempt to appear normal and not slightly obsessive, which of course, I am. It follows that my girls and husband are highly skilled banana bread eaters and according to Darren, this fudgy loaf is knocking the stuffing out of all its predecessors. And I have to agree. Healthy it certainly isn’t, but devastatingly decadent, absolutely. 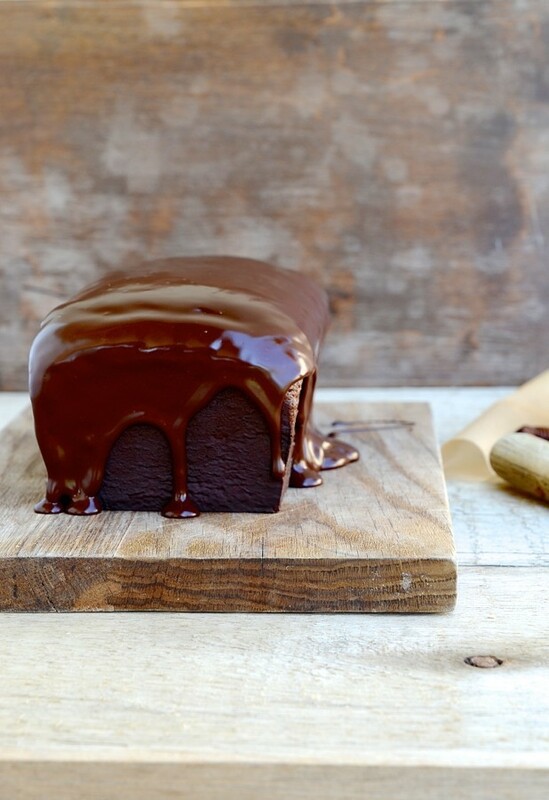 There are levels to this chocolate fudge banana bread. I’m an all or nothing kinda gal, so all three it is. Just make the loaf and be done. 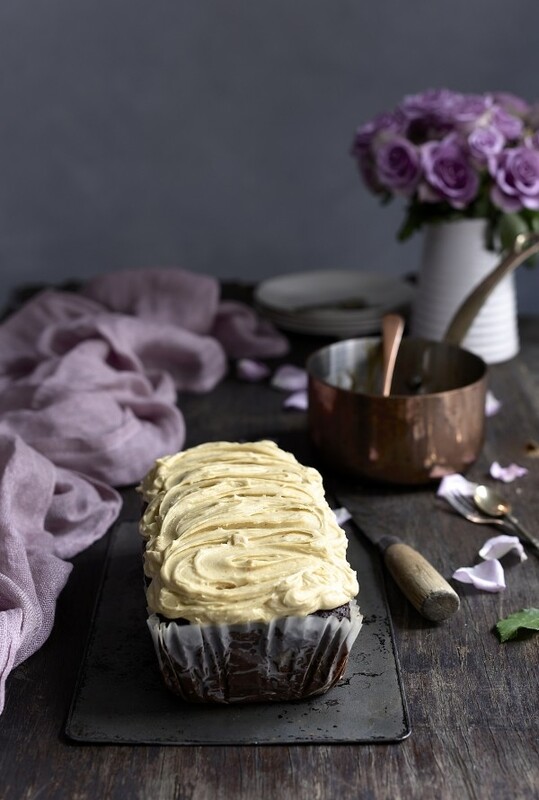 Make the loaf and the peanut butter frosting and be done. 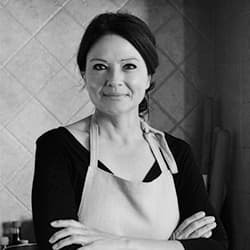 I receive plenty of requests for one-bowl cake recipes and simple, foolproof bakes. Obviously, if there’s recipe diddling going on and if you feel compelled to adjust the recipe or ingredients, that can’t be helped. But, if I were a betting woman, I’d say this recipe is practically bullet proof. What could be simpler than a one-bowl, oil cake? 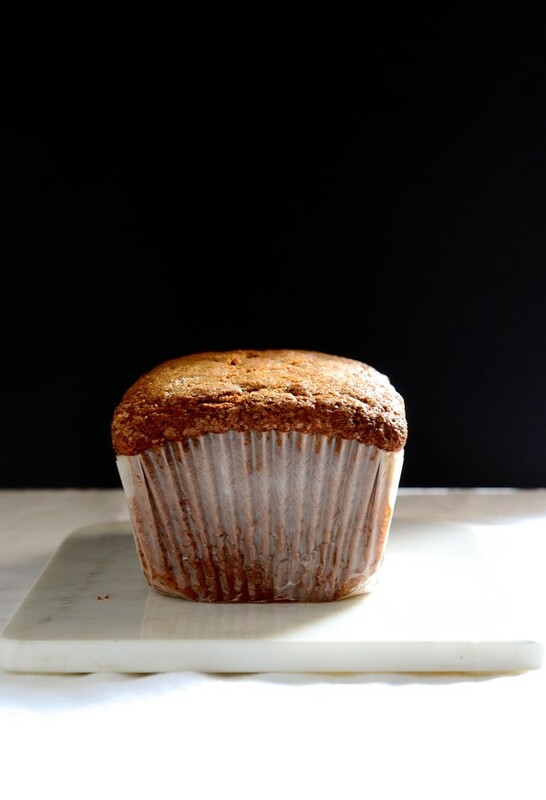 Like with most banana breads, this loaf keeps well for up to five days. Our banana bread usually makes it to 1 day 3 hours, max. If yours makes full term, call me and I’ll send support. The frosting is really not necessary but it’s ethereally light and very peanut buttery. So it’s a yes from me. 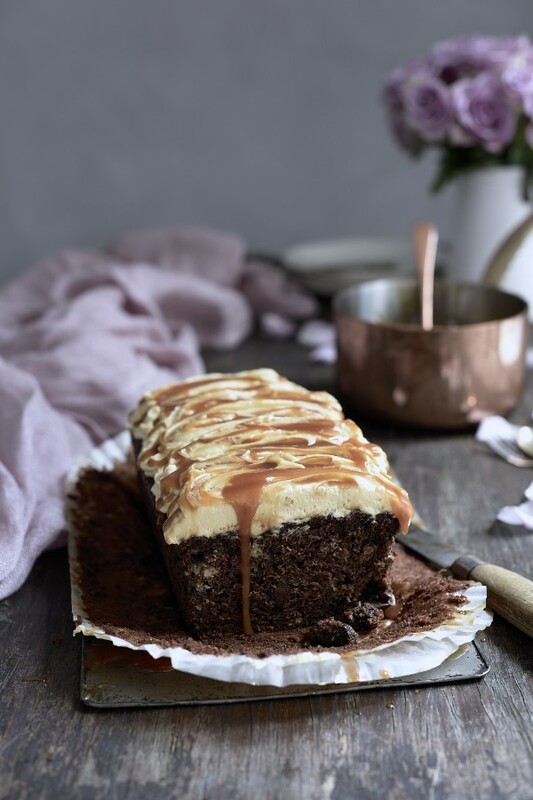 If you make this Cake Friday bake, hashtag it with #bibbyskitchen and we’ll vote for our favourite! Happy weekend baking. Preheat the oven to 180º C. Grease and line a 20 x 10 cm loaf pan. Beat the oil, sugar, eggs and vanilla in a mixing bowl until pale and creamy. Add the mashed bananas and beat once more. Sift the flour, baking powder, salt, cinnamon and cocoa into the banana mixture and beat slowly to combine. Fold through the chocolate. Spoon into the tin and smooth over the top. Bake for 70 – 75 minutes. Cover loosely with foil for the last 20 minutes. Rest in the tin for 10 minutes before transferring to a cooling rack. To make the frosting, cream together the butter, cream cheese, peanut butter and vanilla until smooth. Add the icing sugar and beat until fluffy and light. 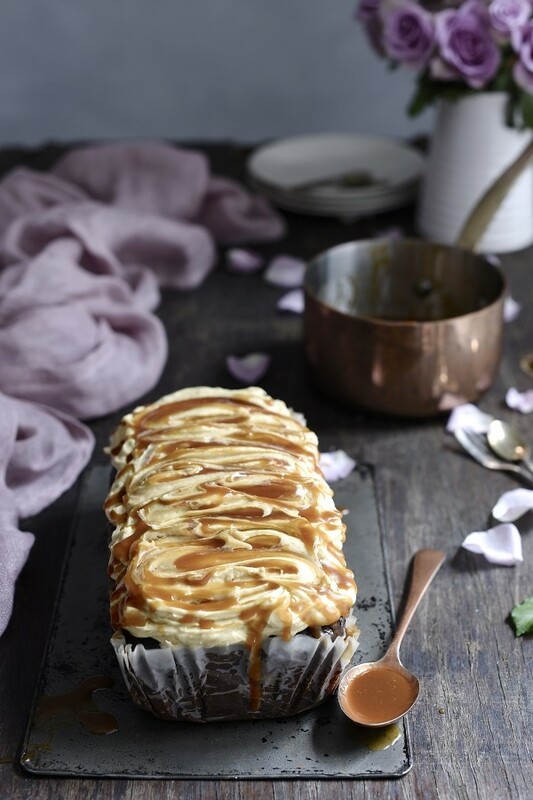 Swirl the peanut butter frosting over the cooled banana bread and drizzle with caramel sauce.